Watford (A) aftermath – how can Malky stop the rot? Chris McCann’s 45th minute goal gave Latics hope, but sloppy defence was their downfall. Another defeat by a single goal. The Darkside pessimists had suggested that Latics would get badly beaten at Watford. 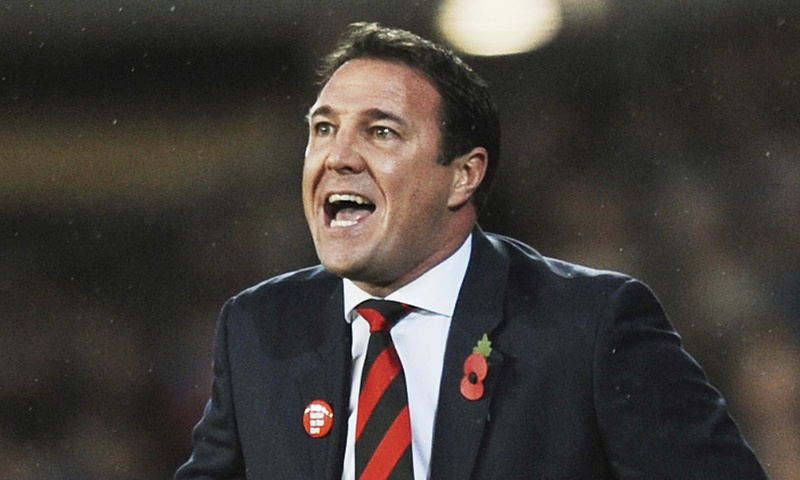 That was not the case, but it is another bad result for Malky Mackay. He has an unenviable record for a new manager of one point gained in four games in charge. Can Mackay turn things around or are Latics heading for League 1? Seeing the lineup for today’s match gave many of us a sense of foreboding. Not a single recognized central striker on the field, but two on the bench. Was Mackay planning to keep things tight and maybe steal it from a set piece? In the event Mackay chose to deploy James McClean in the lone striker role. McClean’s strengths are his energy and his pace, but finishing is not his forte. Has the manager already written off the other strikers at the club when he has not seen most of them play in the Championship during his time at the club? Andy Delort might well think that. The Frenchman was brought on in the 86th minute. It would seem rather late but at least it was two minutes earlier than his entrance against Norwich. It can hardly be good for the player’s self -confidence. Once again Mackay relied on the old guard, shunning the Rosler signings with the exception of Don Cowie and Andrew Taylor who played for him at the two clubs he previously managed. Up to this point it is not bearing fruit and the fans’ patience is wearing thin. Fans who had been unhappy about Uwe Rosler’s team selections and formations are now seeing a similar pattern with Mackay. Many will say that nothing seems to have changed since Mackay arrived. The team is playing in the same way as before so what was the point of dismissing Rosler? The central striker has continued to be “lone” in the true sense of the word and sloppy defence has given away games which Latics might have won. In 2012 Wolves had come down to the Championship division after three years in the Premier League. Over the summer they had sold Steven Fletcher (£14m) and Matt Jarvis (£11m) and paid around £2.4m for Bjorn Siguroarson, £2.7m for Bakary Sakho and £2m for Tongo Doumbia. Stale Solbakken had been brought in as manager. By early October Wolves were in third place, with promotion looking within their grasp. Keen to get rid of the culture remaining from the days of Mick McCarthy as manager, Solbakken had sought empower the players. However, over the next three months Wolves started to drop down the table. There was a lack of discipline, training had become less than stimulating and the manager was largely unprepared to read the riot act when things went wrong on the field of play. Solbakken was sacked in early January after his team got knocked out of the FA Cup by non-league Luton. Dean Saunders was appointed to become Wolves’ fourth manager in twelve months, but he was unable to stop the slide and a 23rd place finish saw them relegated. What happened to Wolves is a sobering prospect for Wigan Athletic followers. The situations differ but there are certain parallels. Unlike Wolves being relegated in their first season back in the Championship, Latics did well. Reaching the playoffs, the FA Cup semi-final and being robbed of progress in the Europa League by a dubious refereeing decision was quite an achievement. However, the rot was setting in in the latter stages of last season and it has continued up to now. Wolves had a wage bill of £25m with lots of players seasoned in the Premier League, but could not hack it in the Championship. Changing managers did not help Wolves, as Saunders could not better Solbakken in terms of results. Latics fans will be hoping that is not going to be the case with Mackay following Rosler. It is to be hoped that Dave Whelan will take note of the board’s fateful decisions at Wolves. Mackay has already talked about offloading players in the January transfer window and bringing in at least a couple of new ones. More than anything else Mackay needs to build an organizational culture upon which he can bring things forward. Each of the previous managers – Martinez, Coyle and Rosler – had their own ideas about how football should be played. There has not only been turnover at managerial level but also in coaching and support staff. Latics are once again in the midst of a culture change within the club. The result at Watford could have been a lot worse. Moreover Latics had been the more dominant team in the second half until sloppy defence enabled the Hornets’ winner after 82 minutes. But it is yet another defeat. Mackay has hardly impressed in his brief stay up to this point. However, changing the mentality of a group of players who have got used to not winning is not an easy matter. It is going to take time. It is to be hoped that arrivals and departures over the January transfer window will catalyse the change in culture that Mackay seeks. In the meantime we will have to see if Mackay will continue to rely on an old guard which has largely let him down. Can Mackay turn it around? Over the years we have seen some abject performances from Latics with woeful scorelines. Too often when they were in the Premier League they would play a top of the table team and hold their own until the opponents scored their first goal. The confidence would sag and the legs would start to go. The exertion required to hold back the tide had taken too much out of the players, both physically and mentally. It almost looked like the players didn’t seem to care. It was akin to capitulation. But those players did care. It was a learning experience for so many of them, but they would bounce back and get the most amazing results against those same elite clubs. One always felt with Roberto Martinez that he was trying to do something special, despite the very limited resources he had to work with. It was the mental side of things that he was building up. The players had to be mentally tough to compete against teams with so much more individual quality than they had. After five decades of watching Latics I have rarely felt as depressed as I was after yesterday’s Norwich game. The stats show that Wigan committed just 5 fouls, to the Canaries’ 12. Neither side received a yellow card. Did those players really care? Where was the passion? It was sad to see Uwe Rosler’s demise. It was inevitable, given the awful results that his team was getting this season. But Rosler at least had a vision of the kind of football he wanted, even if the players were unable or unwilling to produce it. The football we saw yesterday was reminiscent of the worst days of Rosler’s predecessor, Owen Coyle. The goalkeeper and the defenders hoofing the ball upfield to a lone centre forward. To his credit Fortune did actually defy the odds and win some of those balls yesterday. But the possession he gained was too often squandered by teammates. Despite his reputation as a motivational manager, Mackay was unable to motivate his players yesterday. His team selection and tactics surely did not help. The local newspaper had got us excited about Shaun Maloney coming back after illness. When the team was announced it looked like he would play in the attacking midfield position, in front of Chris McCann and Ben Watson. But Maloney was to be confined to the left wing and James McClean occupied that role. McClean was like a fish out of water. He has a repertoire of skills, but not those needed for that position. Maloney never got into the game and was substituted after 47 minutes. Mackay left Emmerson Boyce on the bench and neither Gary Caldwell nor Thomas Rogne even appeared there. Instead Mackay brought in Maynor Figueroa at centre back. Figs rarely played for Latics as a centre half in a conventional back four in the Martinez days. When he did it was not particularly successful. He could be excellent playing on the left of a back line of three central defenders, but that is quite distinct from the position he played yesterday. Mackay took most of us by surprise when he named both of the previously long-term absentees, McCann and Watson in the team to play at Sheffield. It was even more of a shock to see them paired together again yesterday. McCann had actually performed well in his first two matches, but he and Watson were unable to turn it on yesterday. The two are crucial to Latics turning the season around. Mackay is taking a gamble in playing the two so much after their long recuperations from injury. He runs the risk of losing them with their bodies taking a toll of not playing for 8-9 months. As expected, Don Cowie made his first appearance under Mackay, who had been his manager at both Watford and Cardiff. Cowie went to right midfield where he performed as he has before in that position. Pedestrian to be sure, but Cowie will at least make the effort. The result was Callum McManaman being pushed inside and not seeming to know where he was playing. The hard-working Fortune was taken off after 82 minutes to be replaced by Roger Espinoza. Given the insipid, characterless stuff we had seen up to that point it was a pity Espinoza had not been brought on earlier. The player has many qualities, not the least of which is to fight for the ball and run forward with enthusiasm. But, even then, he was a midfielder replacing a central striker with Latics a goal behind. Mackay was to make his biggest gaffe of the afternoon by bringing on Andy Delort after 88 minutes for Chris McCann. Fortune can rarely be faulted for effort and he often does a remarkable job of bringing down and controlling Scott Carson’s long kicks. But he is rarely a threat to the opponents’ goal. Delort has been scoring goals for the development squad. Admittedly there is a gulf between the Final Third Development League and the Championship, but the Frenchman also has a fine goalscoring record in Ligue 2, not light years away. Bringing Delort on so late is hardly going to help his confidence. Mackay has a difficult task ahead of him. However, for the last two games his players have not competed as they need to. Moreover he has made baffling team selections. He needs to get his act together soon, or Latics will be in deep, deep trouble.